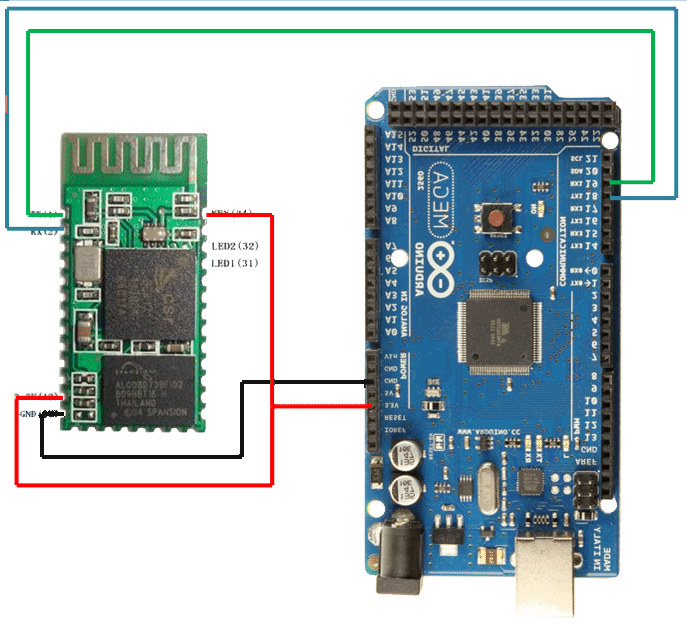 This tutorial guides you, how to interface Bluetooth module with Arduino UNO and Arduino Mega 2560. 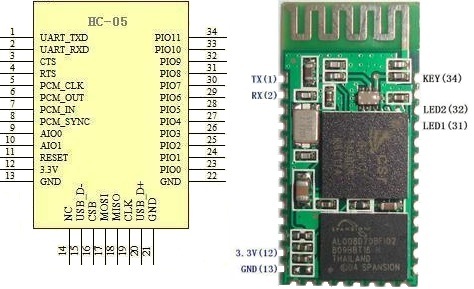 Interfacing HC-05, HC-06, JY-MCU v1.02 or v1.03 with Arduino Uno or Arduino Mega 2560 using two serial ports. HC-05 & HC-06 have different pin numbers of LEDs only, power and Serial Communication pins are same. 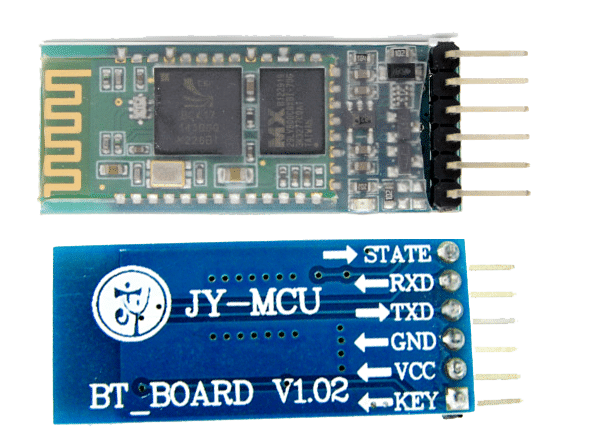 JY-MCU BT_BOARD v1.02 and v1.03 have same pinouts. 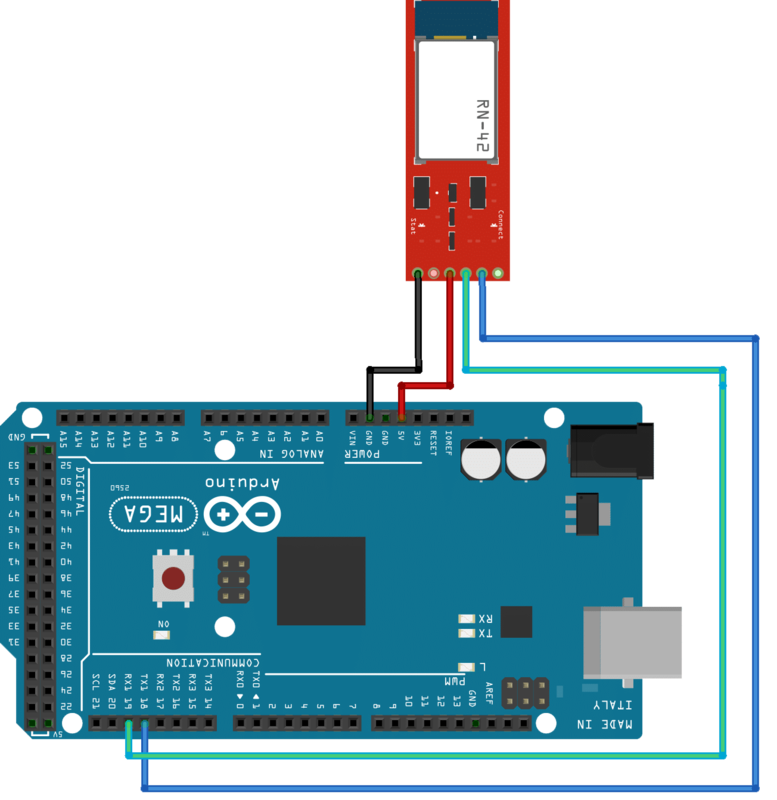 As Arduino Uno has only one serial port. 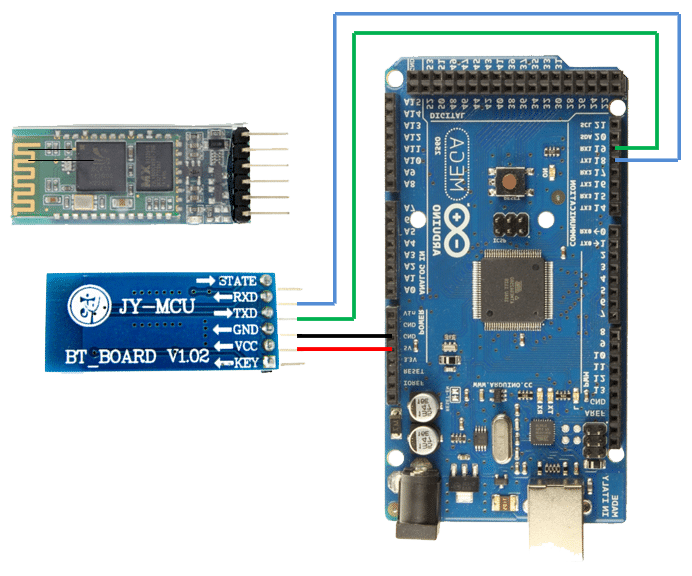 So we will connect Bluetooth Module with RX and TX pins of Arduino Uno. This code will continuously transmit text “GalaxySofts” and “http://www.galaxysofts.com” with a delay of 1 second.